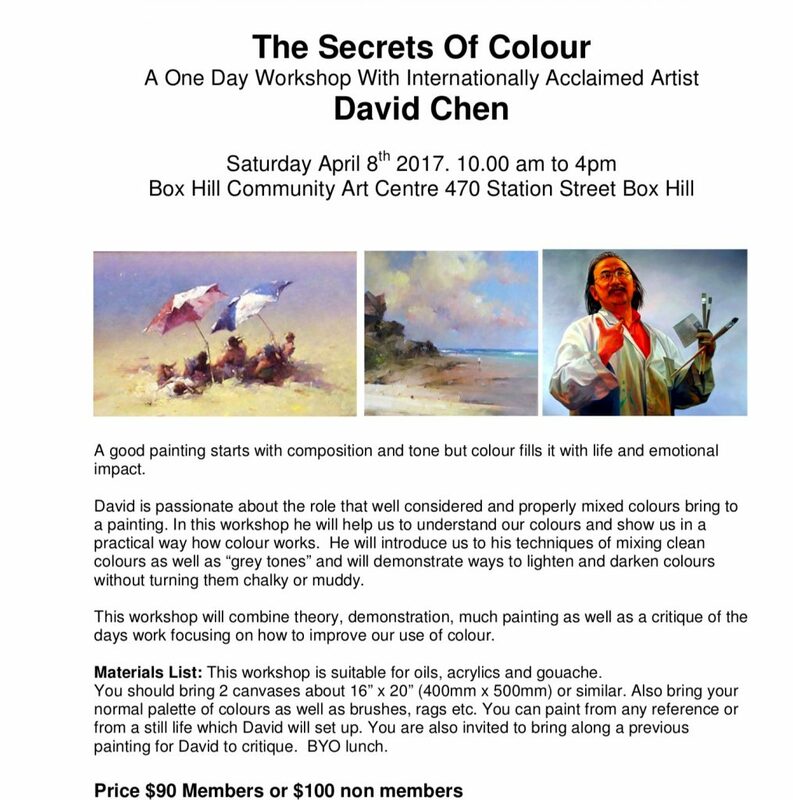 There were 11 participants at David Chen’s Secrets of Colour workshop held in Drycraft East on 8th April. Clearly David has a lot of knowledge about colour and spent the first couple of hours just talking about his methods and the considerations to be aware of when choosing and using colours. A good understanding of the colour wheel and the undertones of all pigments is clearly the key to making a vibrant painting. Most people then focused on painting a still life that David set up. This was all concluded by David’s “Paint On” critique where he discussed each painting made during the day and with just a few brushstrokes showed how a part of each painting could be improved. We all learned a lot about colour and came away knowing that there is still a lot to learn and practise in just this aspect of picture making. Our next two workshops will be entirely different with Betsy Forster teaching us some exciting print making techniques on the 8th of July and Pamela Pretty showing us how to combine pastel with other media on 30th September.